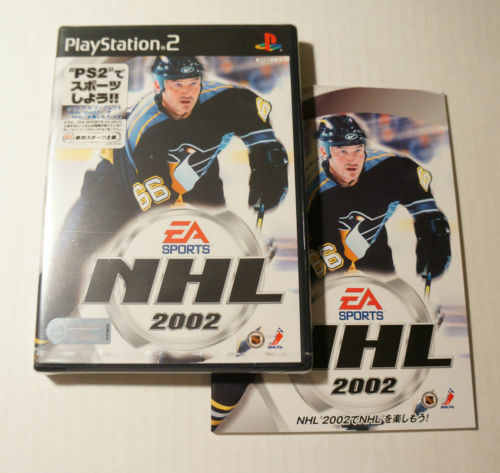 September 16, 2004 – NHL for Playstation! One of the teachers I work with was shopping at a used game store, and found a Japanese copy of NHL 2002 for Playstation 2. The EA Sports NHL games did not get a large release in Japan, so this was a very rare find. Knowing it might not be around for long, he bought it for me and gave me the option of paying him for it, or having him return to the store. I had my wallet out in seconds, and resisted the urge to hug him. After work I went to karaoke and rocked the MC Hammer classic “U Can’t Touch This”, among other songs. This entry was posted on September 16, 2014, 8:00 pm and is filed under Karaoke. You can follow any responses to this entry through RSS 2.0. You can leave a response, or trackback from your own site.